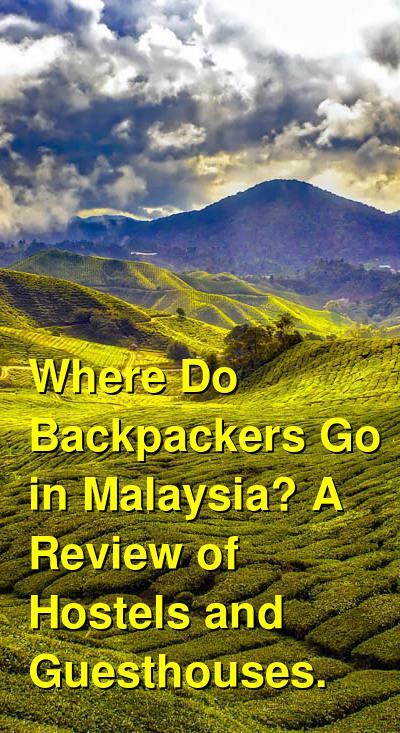 Where Do Backpackers Go in Malaysia? A Review of Hostels and Guesthouses. 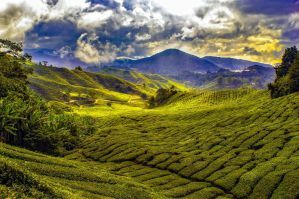 Malaysia is part of the well-beaten Southeast Asia backpacker route, and as such, there is no shortage of hostels or budget guesthouses throughout the country. Malaysia is a relatively affordable country to visit, and there's a modern infrastructure that makes it a easy to get around. If you're a budget traveler, you'll have no trouble finding places to stay in most major tourist destinations. In general, budget guesthouses are comparable in price to hostels, so if you want a little more privacy, you won't spend much more on a guesthouse. Many visitors book internal tours while they're traveling within Malaysia. These tours sometimes include accommodation. The facilities can be hit or miss, so ask lots of questions and confirm that you understand what's included in the booking ahead of time. Where Do Backpackers Stay in Kuala Lumpur? If you're looking for the cheapest places to stay, then Chinatown may be your best option. The area is filled with activity and many of the budget guesthouses are found around the Petaling Street market. The area also has many colonial style buildings. The cheapest guesthouses are quite basic, so if you're looking for affordability and don't need the best quality, then this area has a lot of options. Brickfields, or Little India, is south of the city, and it is known for its fun shops and delicious food. This area has a wide variety of backpacker hostels that are really cheap and relatively comfortable. The area is near the KL Sentral monorail so it's very accessible as well. Bukit Bintang is the main shopping area in KL. There are popular malls and shops around, and there is no shortage of hotels in the area. This area has many of the major chain hotels, but there are some more affordable places scattered around as well. Kuala Lumpur City Center is the area around the Petronas Twin Towers. The area has lots of tourist attractions and malls. It's also where you'll find many of the city's five star hotels. Budget travelers may find a couple of options in the area as well. This area is the old city center and it's where you'll find a wide variety of colonial buildings. It's a bit quieter than some other central neighborhoods, but it makes a great place to spend some time. Many of the colonial buildings have been turned into high end hotels, but there are some budget places around as well. Where Do Backpackers Stay in Penang? Georgetown is the capital city on the island of Penang. It's also a UNESCO World Heritage Site and the most popular place to stay on the island. The area has a fascinating history and delicious food. It also has plenty of budget accommodation options for backpackers and budget travelers. Most backpackers stay along Chulia Street, which is the main road through town. The area has lots of bars and travel agencies that cater to backpackers, and it's really easy to meet other travelers. This area is at the northern tip of the island, and most people who come here stay near the beach. It's a decent beach, but the accommodation is a bit more expensive, and the area has more resorts than anything else. Gurney Drive is a popular area with expats who live on the island. The area has many luxury towers and the Gurney Night Market. There are also malls along the route. Where Do Backpackers Stay in Langkawi? Pantai Cenang has the most going on in the area. There are plenty of restaurants, shops, and resorts here, and there's also a nice beach. This area has some of the best nightlife and it's popular with backpackers and budget travelers. This beach is right next to Pantai Cenang but it's a bit quieter and has a range of accommodation options from basic hotels to high end resorts. It has a long stretch of beach, but it's a bit harder to find budget accommodation here compared to Pantai Cenang. Kuah is the main town where you'll likely arrive if you come by ferry. The area doesn't have any real beaches, but there are other sights nearby and some good shopping. There are a handful of hostels in town that are of mediocre quality. They're relatively affordable though, if you decide to spend a night or two in town. This is a quiet area that has nice beaches and beautiful rainforests. There are many nice attractions in the area including waterfalls and a cable car. There are also a handful of good restaurants. Where Do Backpackers Stay in Melaka? Most visitors to Melaka choose to stay in the Heritage area. This is near many of the major attractions and it has a wide variety of accommodation types to choose from. Melaka Raya is another area with a shopping mall and several accommodation options. Where Do Backpackers Stay in the Cameron Highlands? Tanah Rata is the main town in the Cameron Highlands. This is where most visitors base themselves and it has a variety of accommodation options, restaurants, and travel agencies. There are accommodation options available in Brinchang as well, which is about five kilometers from Tanah Rata. It is a less popular area to stay in, but still has things to offer. Where Do Backpackers Stay in Ipoh? There are a handful of budget accommodation options around Jalan Ali Pitchay near Jalan Sultan Iskandar. Where Do Backpackers Stay in Borneo? Sabah is one of two states on the Malaysian portion of Borneo. Kota Kinabalu is the capital of Sabah and the city which most visitors enter through. Sandakan is the largest city on the east coast of Sabah and it is a base for visiting the Labuk Bay Proboscis Monkey Sanctuary, Sepilok Orang Utan Rehabilitaion Center, and the Turtle Islands. Sarawak is on the island of Borneo and is the largest state in Malaysia. Kuching is the capital of Sarawak on the western side of the state.